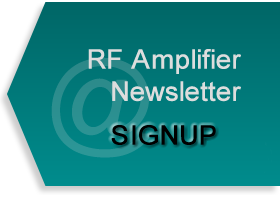 INGLEWOOD, CALIFORNIA and PALO ALTO, CALIFORNIA - Empower RF Systems, Inc., a leading provider of high-power ultra-broadband radio frequency (RF) amplifiers, today announced that it has received a minority investment from Summit Partners, a private equity and venture capital firm with a capital base of nearly $9 billion. Founded in 1999, Empower RF Systems designs and manufactures solid-state, high-power RF amplifier systems and modules for commercial and military customers worldwide. The product lines cover frequencies from 10kHz to 15.3GHz, with power levels up to 2000W. Empower RF Systems' ISO9001 Quality Assurance Program and advanced manufacturing processes ensure consistent performance and the highest reliability. Through experience and innovation, Empower RF Systems has consistently developed solutions that optimize performance and reduce complexity for its customers. As a result, the company has established a leadership position in the growing market for high-power broadband RF amplifiers. "We combine innovative product research with the best power amplifier solutions available to reinforce our position as the industry's preferred supplier," said Efraim Bainvoll, the company's co-founder and CEO. "Our partnership with Summit Partners positions us to continue investing in our infrastructure and to execute our commitment to customer satisfaction and quality." "We are very pleased to serve as Empower's financial partner and to welcome the company to our family of leading companies in the RF technology sector," said Peter Chung, Managing Partner of Summit Partners, who along with Jennifer Trickett, a Vice President at Summit, will join Empower RF's Board of Directors. "We believe the company's unique technology, its scalable manufacturing model, and its experienced RF engineering team position the company for continued success in commercial and defense-related markets. We look forward to working with Effi Bainvoll, William Kong, and the entire Empower RF team in the execution of their growth strategy." About Empower RF Systems, Inc.
Empower RF Systems began as a solid-state, high-power RF and microwave amplifier design and manufacturing house in 1999. Headquartered in Inglewood, California, the company shipped its first batch of amplifiers in early 2000 to customers in the wireless communication and the electromagnetic compatibility and susceptibility (EMC) industries. 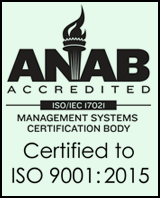 The company successfully completed and received the ISO9001 certification in June 2001 while adapting a sophisticated manufacturing process. Empower RF Systems' expert engineers have been designing high-power amplifiers since the 1960s, and their engineering reputation is well known in the ultra-broadband and the solid state linear amplifier markets. Today, Empower RF carries a full line of products addressing the EMC, instrumentation, general communication, and wireless communication markets. It has also established itself as a leading, cost-effective provider of RF amplifiers for military products. For more information, please visit www.empowerrf.com. Summit Partners is a private equity and venture capital firm with offices in Boston, Palo Alto, and London. Formed in 1984, the firm has raised nearly $9 billion in capital in its private equity, venture capital, and subordinated debt funds. Summit has provided growth equity, recapitalization, and management buyout financing to more than 280 companies, which have completed more than 120 public offerings and in excess of 100 strategic mergers or sales. Summit Partners seeks outstanding management teams that have self-financed their companies to profitability and market leadership in a broad range of growth industries. Summit is a leading investor in the RF and wireless technology sector. Previous notable Summit investments in the sector include Hittite Microwave Corporation, Powerwave Technologies, and Sirenza Microdevices. Other Summit investments in the communications technology sector include Ditech Networks, E-TEK Dynamics, Finisar Corporation, and Xylan Corporation. For more information, please visit www.summitpartners.com. The business of Summit Partners in the UK is regulated by the Financial Services Authority. In the U.S., Summit Partners operates as an SEC-registered investment adviser. This document is intended solely to provide information regarding Summit Partners' potential financing capabilities for prospective portfolio companies.